Discover receivable AM/FM radio stations by scanning, tuning to a specific frequency or accessing a list of all your Favourites. 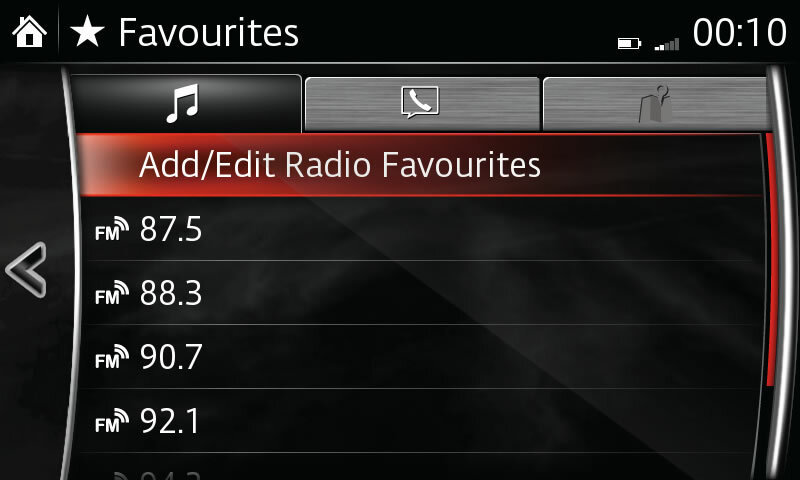 Simply select AM or FM radio from the Entertainment menu. Select STATION LIST, ADD TO FAVOURITES, SCAN, TUNE, TRAFFIC ALERTS ON/OFF, PREVIOUS, NEXT, or SOUND SETTINGS. Instructions may vary, depending on your system's version of software. 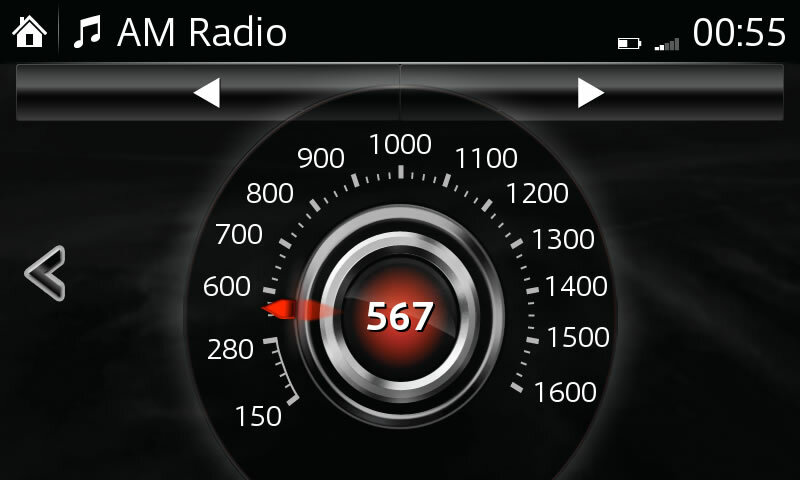 Create a list of up to 50 of your favourite AM or FM radio stations for quick, easy access. Select ADD <ACTIVE STATION XYZ>. The station will appear at the bottom of the Favourites list. Move the station by dragging it or using the multimedia commander. If the vehicle battery is disconnected, your Favourites list will not be deleted. – Only receivable FM analogue broadcast radio stations are searchable by genre.